Woodbrook, by David Thomson, Barrie & Jenkins, 1974. Page numbers here are for the Vintage paperback, 1991. The Ballynahinch on page 233 is not the one near Belfast, which is the one indexed in your atlas. 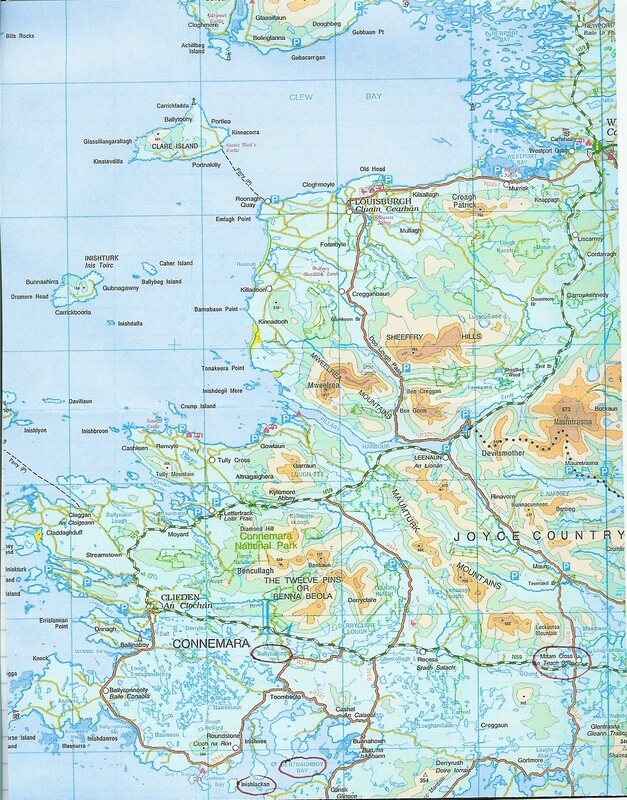 Maam's Cross, in Joyce Country (an ancient name, not James Joyce), is shown on the quarter-inch map; Ballynahinch and Inishlackan (Irish OS spelling). See map. (if the map looks a bit fuzzy, wait a bit, then click on the sort of beetle-looking icon that will appear at the lower right).